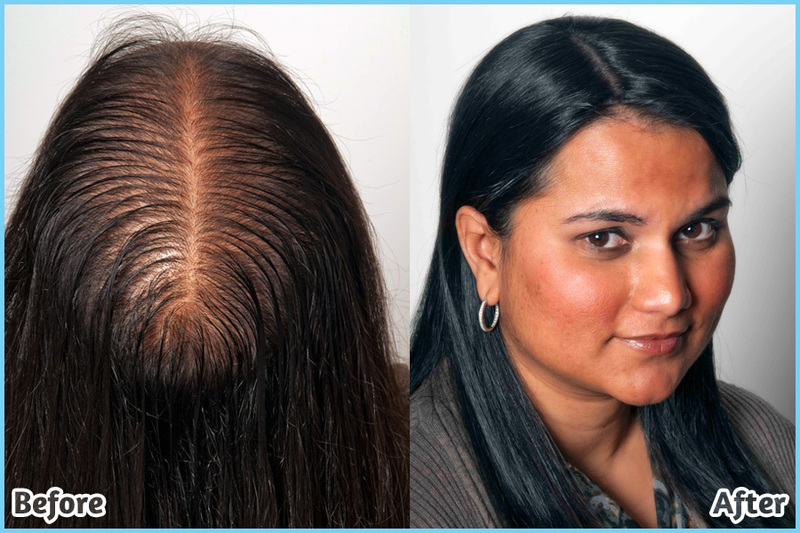 Thinning hair can vary greatly from one person to the next, so there isn’t an (out of box/ready to wear) wig solution that’s right for anyone. A great example analogy proving this point is in the field of dentistry. It’s no surprise that there are no retail shops selling (out of box/ready to wear) false teeth solutions. If we lost our teeth and tried replace them with something (out of box/ready to wear) 9 out of 10 times in that attempt, we’d look ridiculous. The same is true in replacing hair. That’s why Joseph Paris custom designs each hair replacement specifically for each individual client. A custom fit allows you to utilize as much of your own hair as possible. The more we show of your own hair when blending it with a prosthetic, the more natural it’s going to look. Our custom designs recreate your exact hair line specifications down to each single hair, restoring your natural appearance. If you’ve worn stock hairpieces or wigs before to conceal your hair loss in the past, then you already know that they often look unnatural, and can be uncomfortable to wear. Our custom hair systems are lightweight and easy to maintain. Most importantly they look completely natural, and give you the ability to lead an active lifestyle with complete confidence. Many different types of attachment are available. If your hair loss is medically related and your hair begins to grow back, the attachment of your hair system can be modified allowing the regrowth of your new hair. The hair regrowth will occur as you are wearing the MHP System. The newly growing hair doesn’t have to be exposed until you feel it’s long enough to cut and style. Joseph Paris will create a hair replacement system that is designed allowing you to wear your hair in any style. Men and women have different needs when it comes to their hair. Each product is custom made to fit your type of hair, degree of hair loss, and most importantly your lifestyle. During your consultation you’ll have the opportunity to discuss all of your needs and even see some our designs in person with your own eyes. Man or woman, young or old, our custom hair systems for thinning hair will be designed just for you.